Welcome to our sheltered paradise on the waterfront of Lake Ruataniwha. 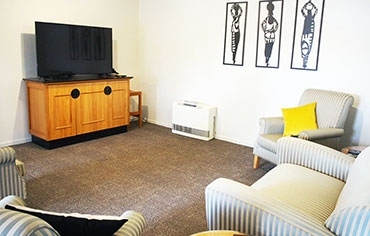 Situated on the southern outskirts of Twizel, we offer you the choice of high-quality motels, lodges, tourist cabins, standard cabins, powered sites and non-powered tent sites. 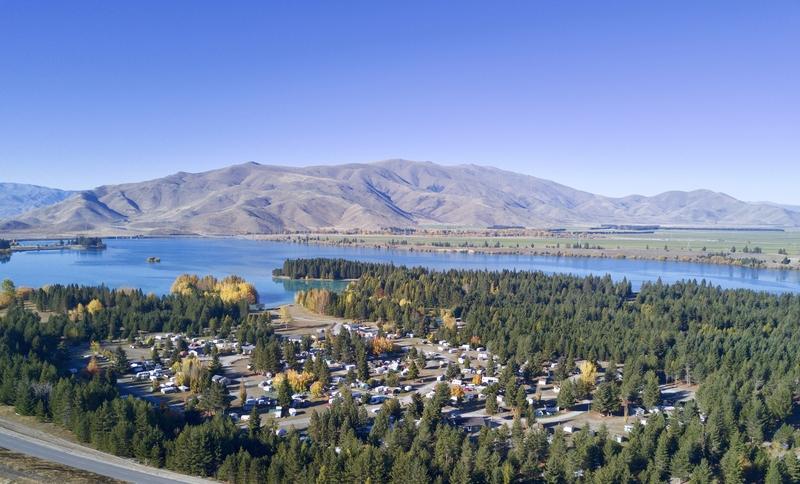 We are Twizel's largest holiday park. 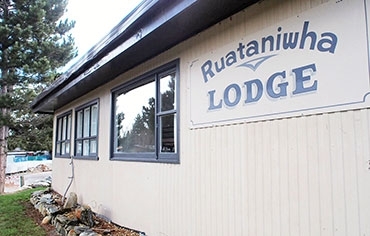 Lake Ruataniwha Holiday Park and Lake View Motels is situated on the waterfront of Lake Ruataniwha. 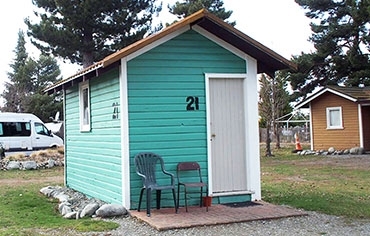 Each motel unit has lake and Southern Alps views. Nestled in the heart of the Mackenzie Country, this hideaway is a fishing paradise. 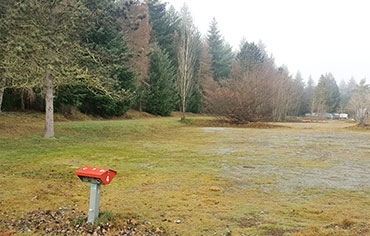 Only minutes from the front door, you could be hiking this wonderland or just relaxing in the country wilderness. 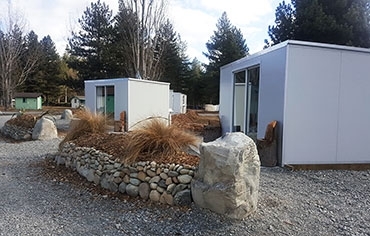 There is a great choice of accommodation at Lake Ruataniwha Holiday Park & Lake View Motels, including powered and non-powered sites, tourist cabins, luxury motel units and fully self-contained lodges. 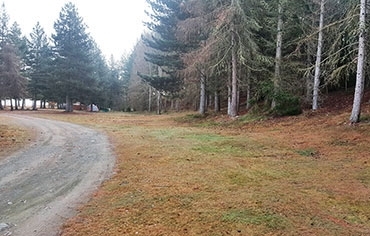 Our holiday park is located among pine forests, with full conveniences on site. 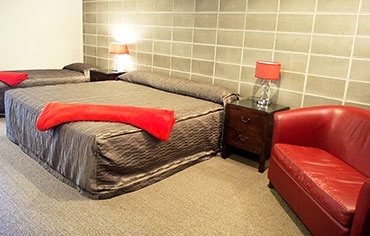 Our motel studios are fully self-contained with kitchenette, TVs, spa baths and super king-size beds. 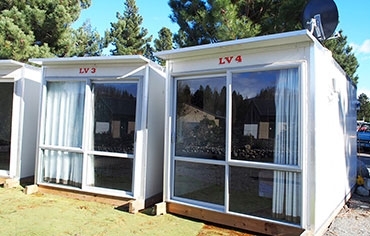 We also have tourist cabins, standard cabins, power sites and tent sites. 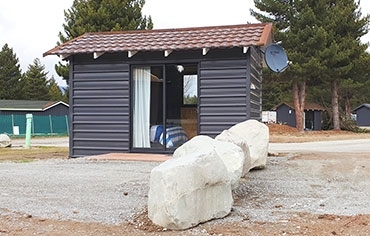 Our lodges have a full bathroom complex and kitchen facilities, perfect for big group retreats. The holiday park is on 50 acres of land and has several amenity blocks with kitchens, toilets and showers plus a coin-operated laundry. Water bikes and canoes are available for hire by the lake. 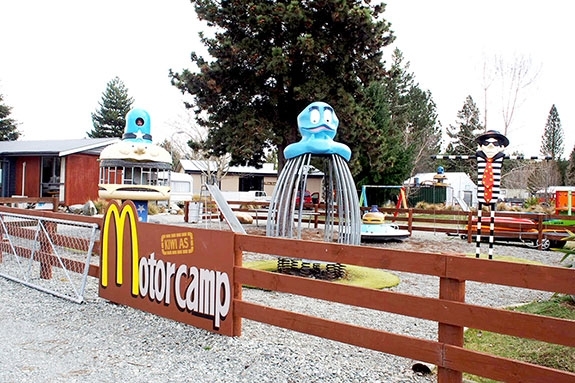 There is a fully stocked camp shop on site. 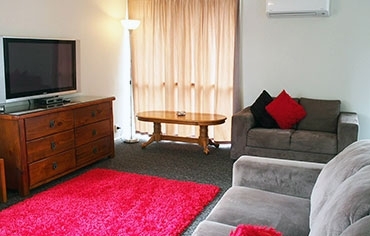 Only 45 minutes' drive to Aoraki/Mount Cook, 40 minutes to Lake Tekapo and 4km to the town of Twizel. 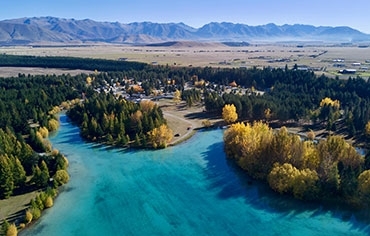 Twizel is situated on the scenic route in the heart of the Mackenzie Country and is a convenient stop-off between Christchurch and Queenstown. 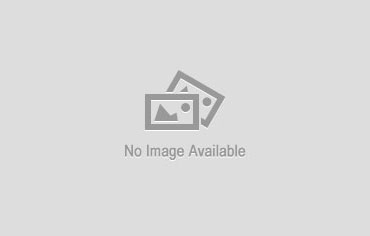 Twizel is a handy base for explorations of Aoraki/Mount Cook National Park and the Mackenzie Basin. From mountain climbing to heli-biking, it's all here. The peaks and trails of Aoraki/Mount Cook National Park are just up the road. You can fish for salmon and trout in the local rivers, canals and lakes. If you don't have any luck, call into the salmon farm and buy a fish – fresh or smoked. 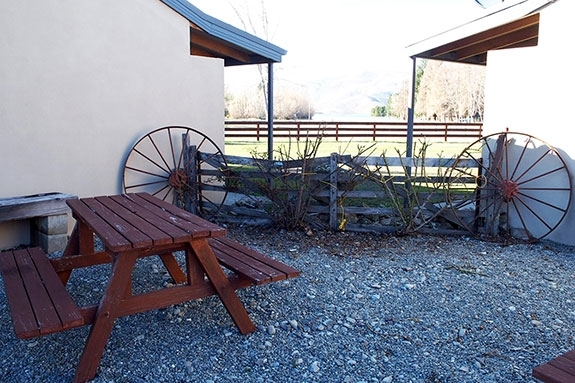 With five lakes, rivers, picturesque canals, bicycle and walking tracks, and ski fields all nearby, there's plenty to do in the Twizel area.